ESCOBAR-MORALES: Resurrection of Hun-Nal-Ye at the Bruno David Gallery in St. Louis, MO. Opening on Friday, February 1, 2013, from 5 to 9 pm. Show runs until February 23rd, 2013. In the New Media Room, the Bruno David Gallery presents a single-channel video work titled “Resurrection of Hun-Nal-Ye” by Escobar-Morales. The 21-minutes video originated from a performance at the closing for RICH-OO-UH’L, RICH-OO-UH’L at Jolie Laide Gallery in Philadelphia, with sound by Armando Morales. In the Resurrection of Hun-Nal-Ye (2011), Escobar-Morales perform a funerary ritual, referencing the mythical Mayan tale of the Hero Twins reviving their dead father, the Maize God. In their contemporary interpretation of this ancient story, Escobar-Morales simultaneously represent the body and the soul; the God/ Goddess and twin offspring, in both physical and technological forms using live performance and web based video projection. ESCOBAR-MORALES is a team comprised of Maya Escobar and Andria Morales. The two artists, based in Chicago and New York respectively, have been working together over the Internet since 2010. 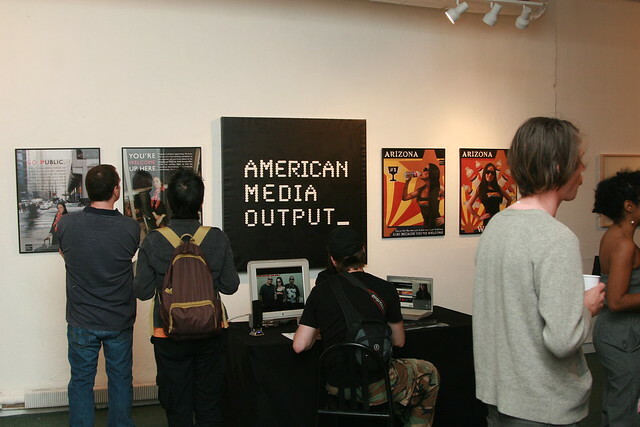 They produce digital media and performance art that explores the role of self-representation in visual culture and its ability to deconstruct ingrained ideological conventions. By locating their performances online where they are free from restrictions of time and place, Escobar-Morales is able to concurrently enact multiple personas while simultaneously creating a unified hybrid self. 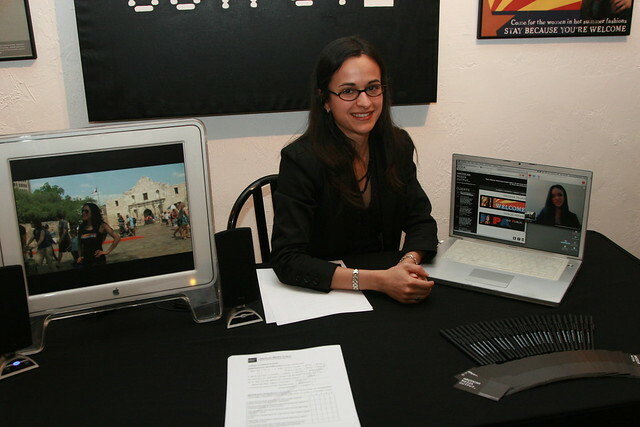 Maya Escobar was born in Chicago, IL in 1984. Andria Morales was born in 1982 in New York, NY. Escobar received a BFA from the School of the Art Institute of Chicago (2007) and an MFA from Washington University in St. Louis (2009); Morales received a BA from the University of Pennsylvania (2004) and an MFA from Tyler School of Art, Temple University (2008). Your favorite fame whore Elotita aka The Fat Free Elotera is back… and this time she has taken it to a new level… she has faked her own death… and has returned as CALAVERA ELOTERA. Tues–Fri, 12–7PM, Sat 11–5PM, Sun 11–3PM. Opening will feature music, interactive performance and the unveiling of over 30 altars and installations. The evening includes a special performance by Herbert Siguenza, of Culture Clash fame. Siguenza will perform and live paint as renowned artist, Pablo Picasso. The exhibition continues to examine the ways technology shapes the celebration of Day of the Dead. Once again, a Flickr group enables the exhibition’s curators to accept digital photos as offerings to those who people want to honor. The public can upload their digital contributions here. Selected images will be printed and displayed as part of the exhibit. And here we are as marketing executives in NJ. Andria was live at Gallery Aferro and I skyped in from Chicago. Stay tuned for more details on the performance and the results from AMerican MEdia Output‘s #targetaudiencesurvey. 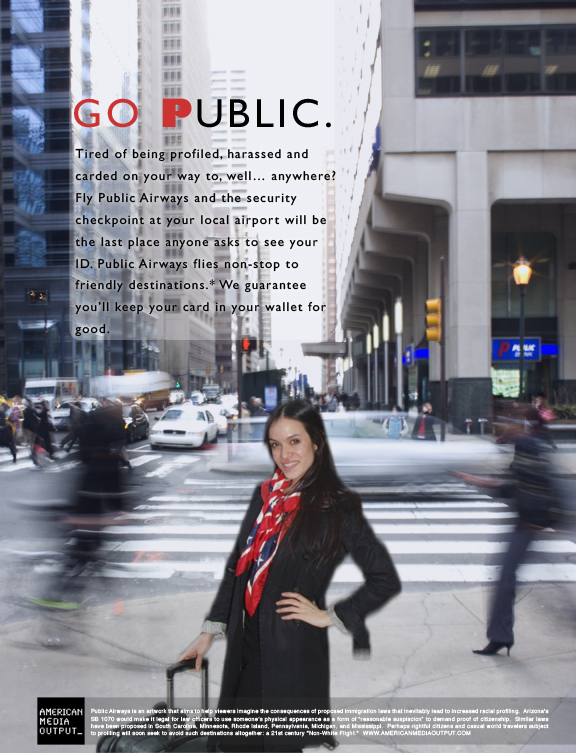 The latest from AMerican MEdia Output‘s Public Airways Campaign. 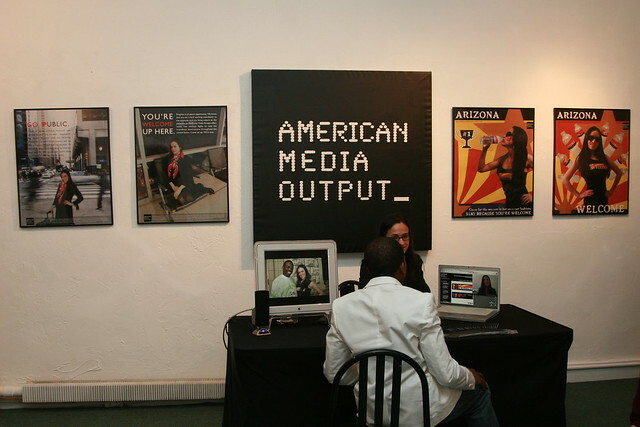 AMerican MEdia Output is an online marketing and brand design agency with a focus on AMerican travel and tourism. 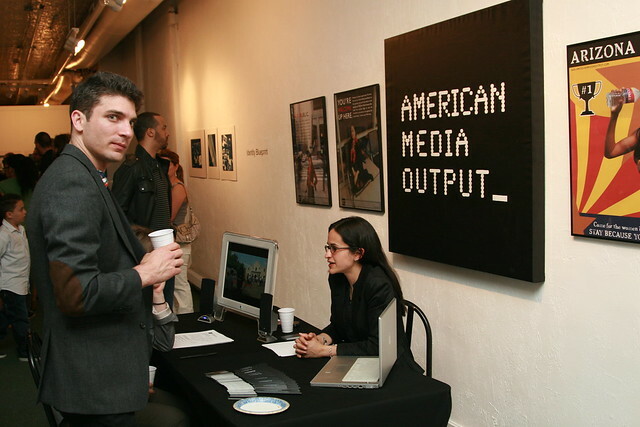 AMerican MEdia Output specializes in creative consulting, web design and development, promotional image and video campaigns, and social media integration and instruction. BEHIND EVERY IMAGE IS A MESSAGE. You are currently browsing entries tagged with Performance Art at Maya Talk.